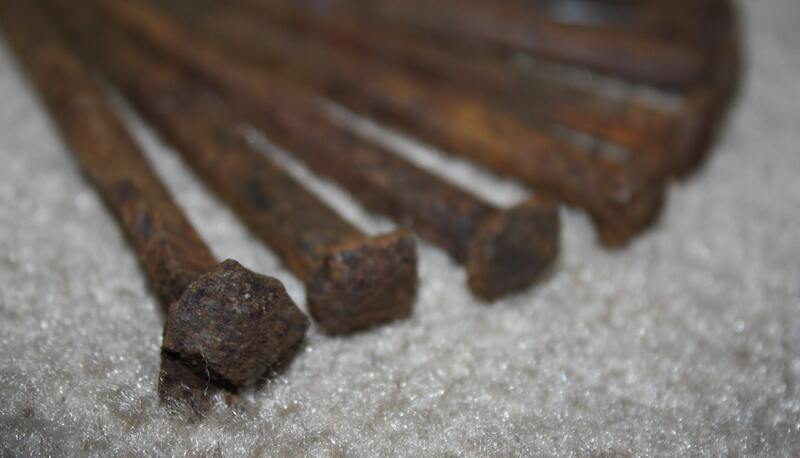 We found a wooden box of early nails in an old barn we cleaned out recently! 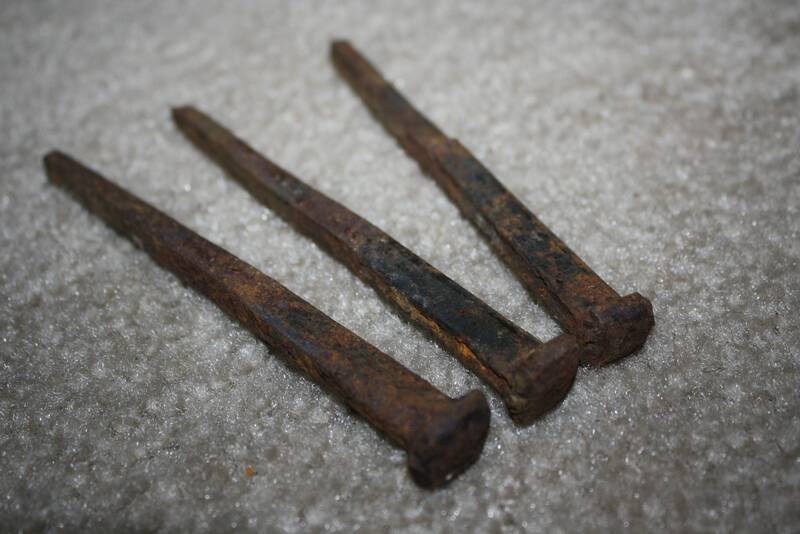 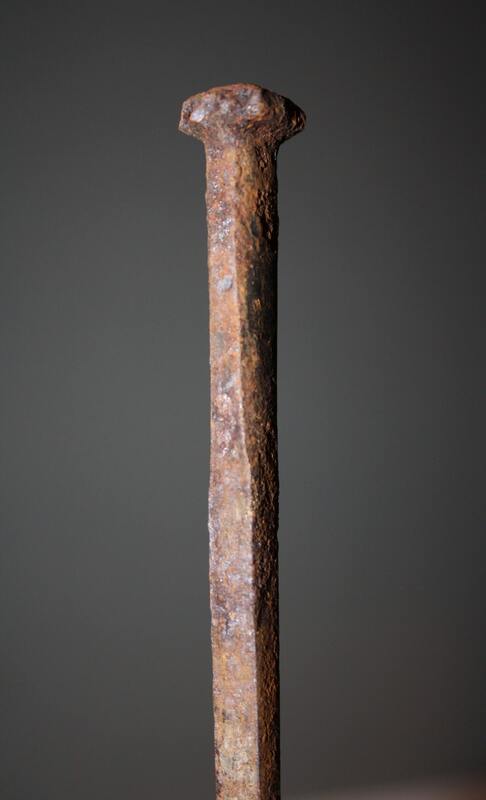 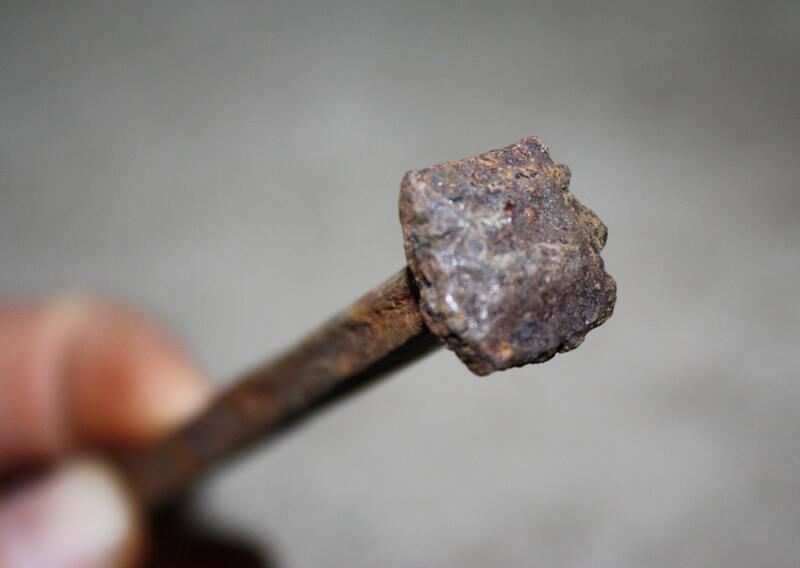 They are large, 4 1/2" to 5" long iron nails that have pyramid heads that measure just over 1/2" wide! 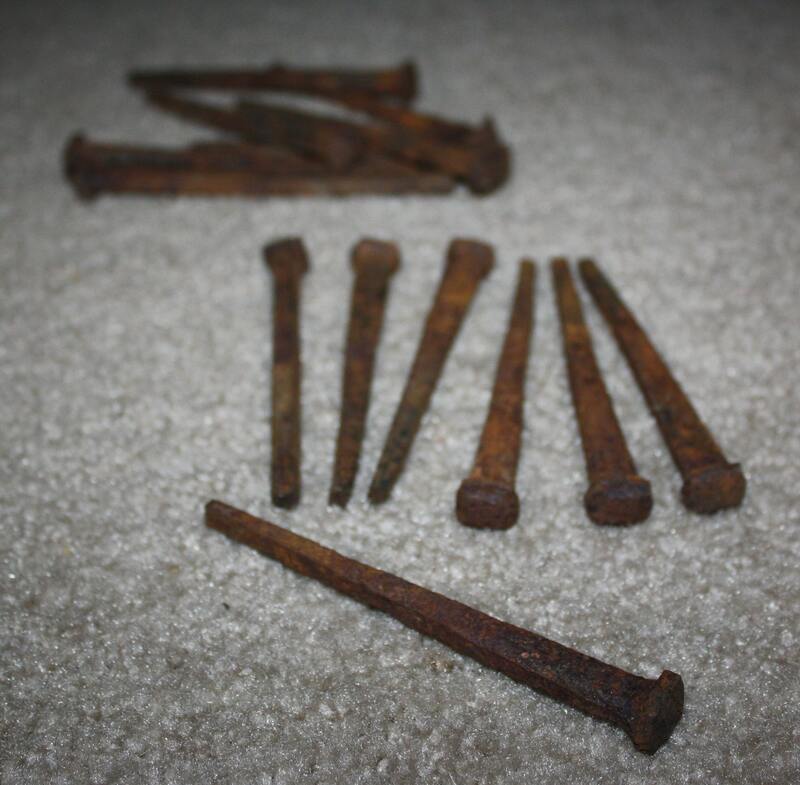 These look to have been used but are in good condition. 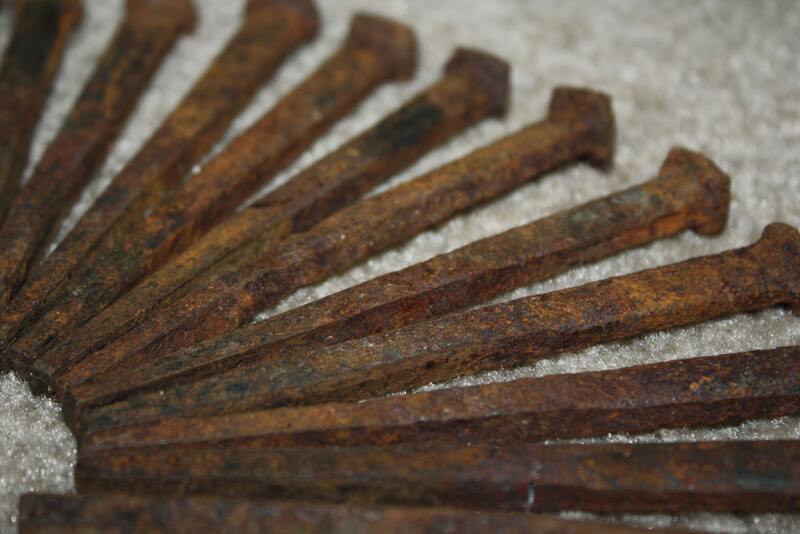 Each has minor surface rust, which could be cleaned off, but we think it gives them a great look! 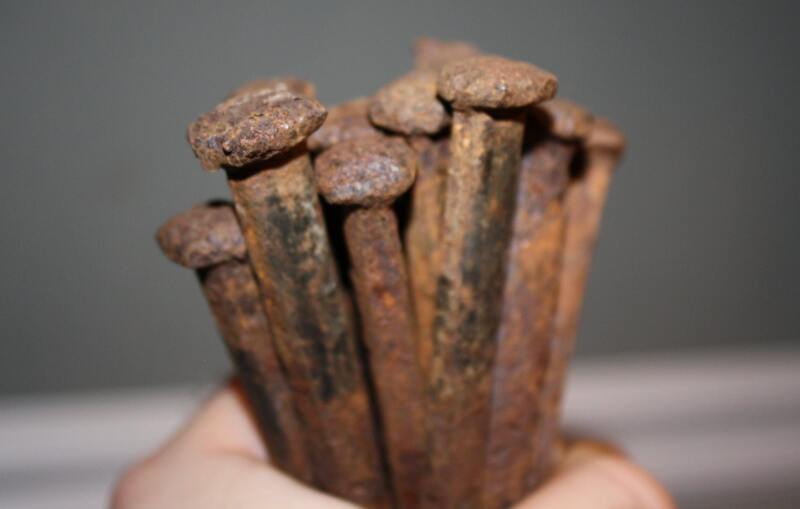 They are a great size for making a rustic rack for hanging coats, clothes or even cooking utensils on! 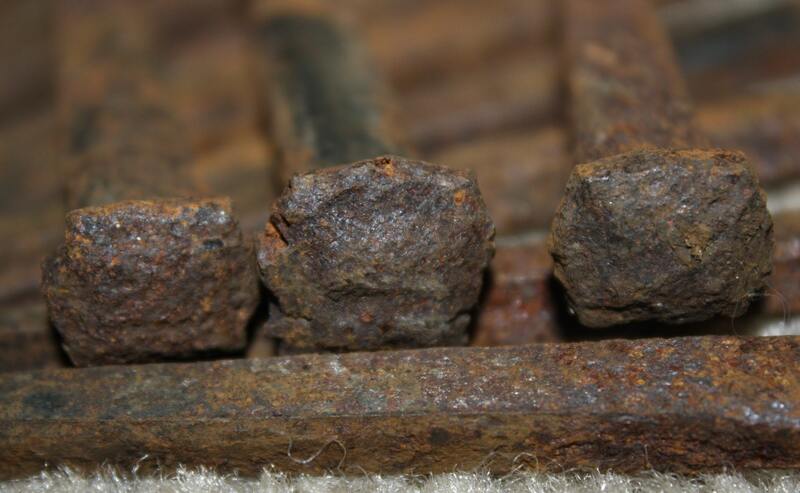 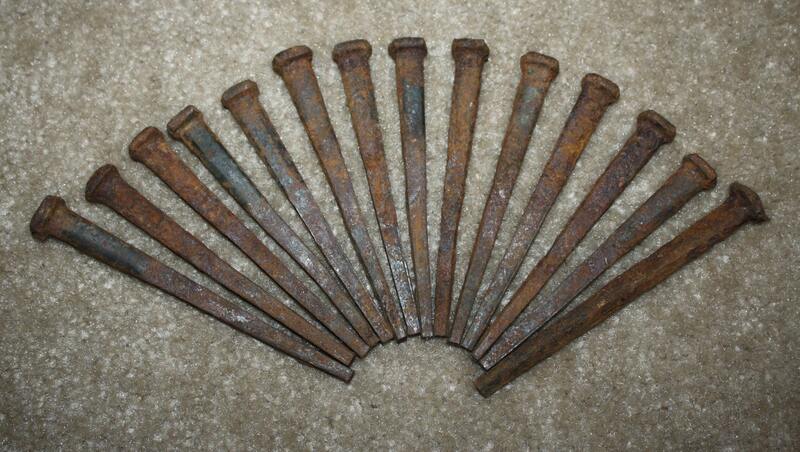 Lots of potential uses for these very large, antique, forged nails! 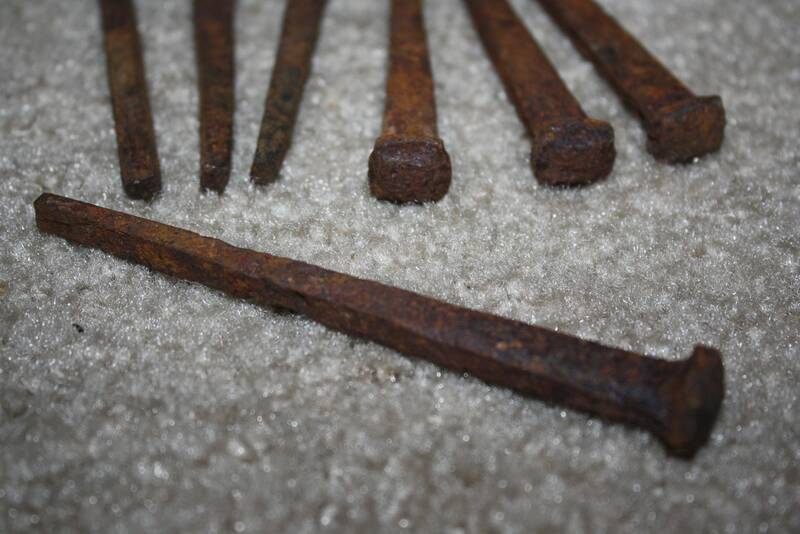 Buyer gets 14 nails.